Brilliant ruby colour. Concentrated cherry and raspberry aromas. Round and well- balanced with smooth tannins and excellent length. 16-17° with dishes cooked in sauce and terrines. 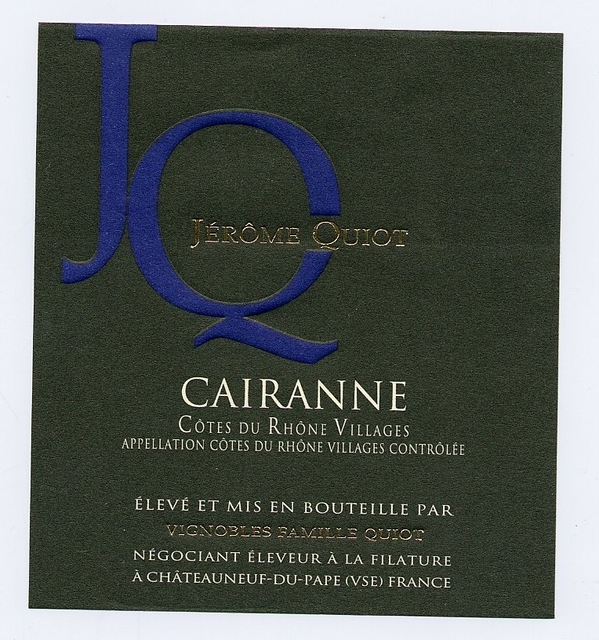 Clay-and-limestone terroir on ancient "garrigue" label. The grapes are de-stemmed but not crushed. Vatting time : 12 to 21 days. The varieties are fermented separately and blended, then matured for 18 months in concrete vats. GERMANY: Vintage 2012 Gerader,und primärfruchtiger Typ, alles da, rund und nett, dennoch mit Konturen Un vin très fruité, sur les arômes primaires. Tout est la. Rond et net.